Mercor Tecresa has developed a product called Tecwool T composed of mineral wool based mortars with cement as only hydraulic binder and other additives in small percentages added during its manufacturing process by spreading allows a homogeneous coating, avoiding discontinuities and irregularities in the coating of building shells, thus solving the problem of heat bridges. 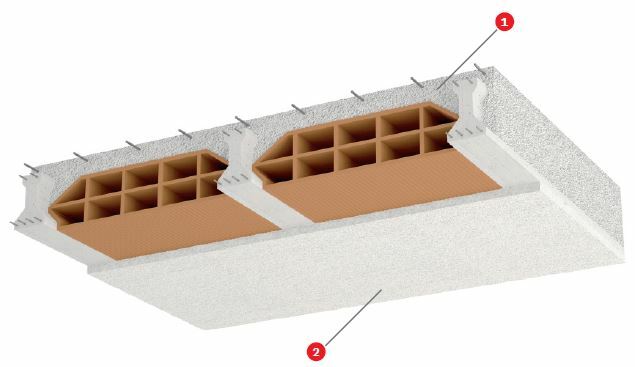 Besides its insulation properties, Tecwool® T is A1 fire-reaction classified pursuant to UNE EN 13501, complying with specifications in the Technical Building Code for ventilation space internal surfaces and facades. Tecwool® T is A1 fire-reaction classified pursuant to UNE EN 13501, complying with specifications in the Technical Building Code for ventilation space internal surfaces and facades. 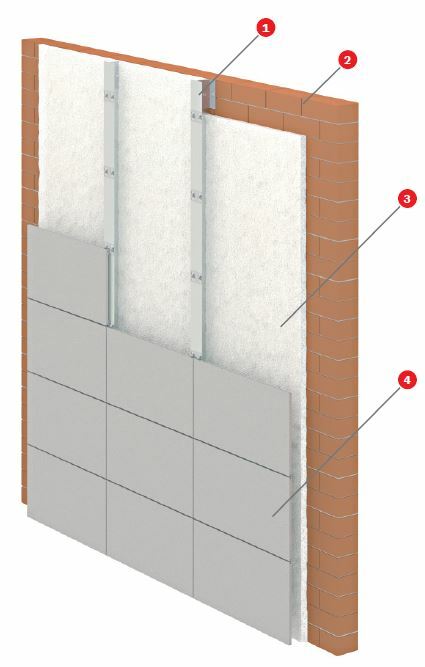 It is also common to use it in ventilated facades where ir provides a continuous and homogeneous coating to the entire facade, avoiding a reduction in the enclosure’s thermal resistance.Tecwool® T provides an effective sealing since its application is joint-free. It does not favour steam condensation from the space air either. It has an A1 fire reaction classification and complies with DB SI (B-s3d2) requirements for coating materials of ventilation space internal surfaces. It also features exceptional characteristics regarding sound and acoustic absorption in reverberation room. We have seen placing rock wool or fiberglass blankets on roofs with staples in order to economize, and in our experience, this type of product make the insulation system unusable over time. Until recently, it was still very common to use polyurethanes applied by projection with an excellent thermal behavior and an economic price. But the regulations have limited the use of this product by its reaction to fire and an EI-30 sheet must be installed isolating it from the fire for its use. It is true that there is already Polyurethanes in the market with a reaction to the fire better than usual, but its price is no longer so competitive and with no environmental considerations.